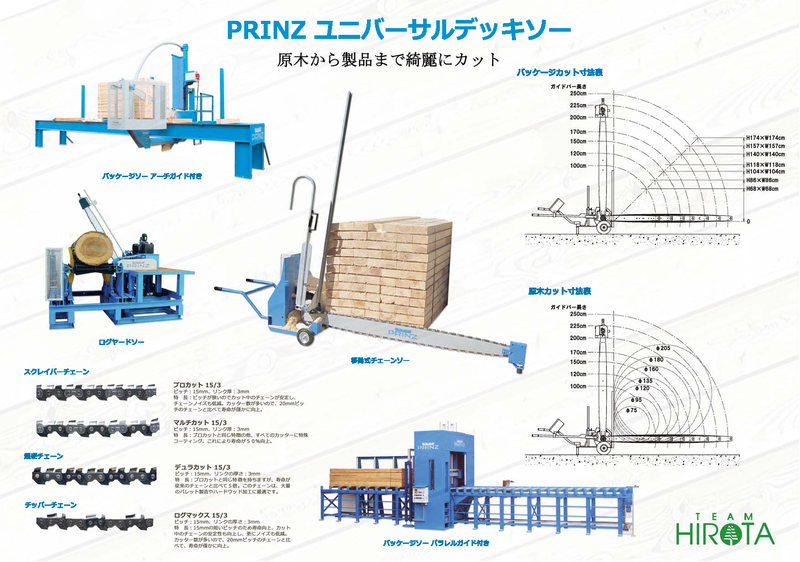 Prinz is a chain saw manufacturer which marks the 70th anniversary this year. The mobile saw can cut logs or packages very effectively. Their unique sawchain for package allows the cutting surface to be very smooth. 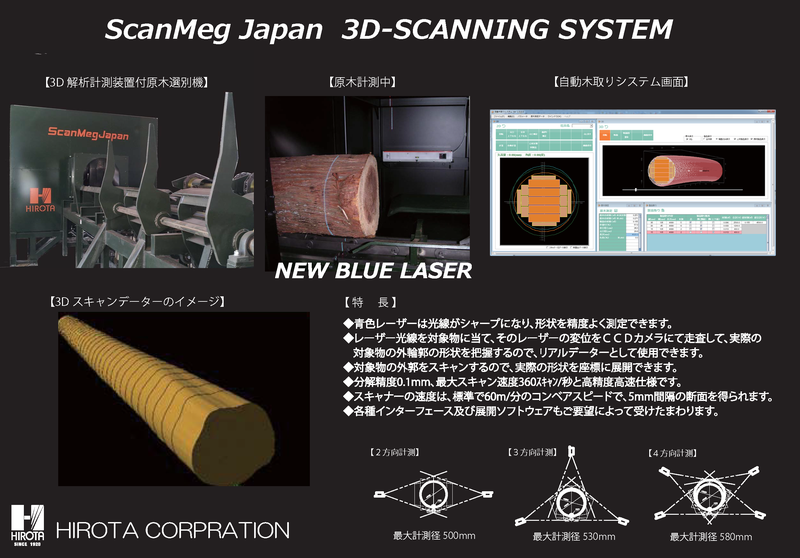 Blue lazer makes it possible to scan an object more precisely. Because the outline of the object is scanned, the actual shape can be applied in the optimizer coordinates. The scanned data can be linked to processing control systems. It can be operated at high speed (360 scans / sec.) with high resolution analysis (0.1mm accuracy). 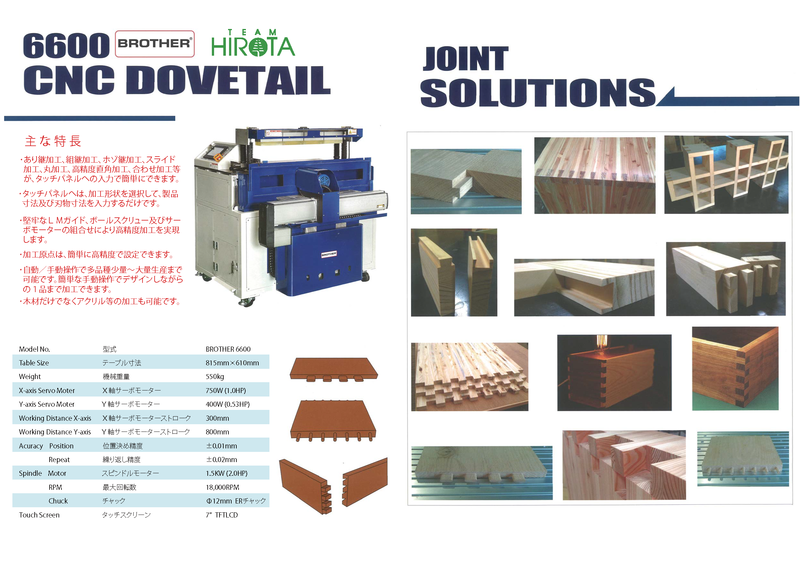 Brother’s 6600 CNC Dovetail machine is versatile and simple to use and easily machines dovetail,box joints,mortise and tenon joints and more.Simply enter dimensions of the material,the bit size being used,how many joints and its ready to go. The touchscreen control panel is laid out well for user input. A 2hp drives the precision machined spindle assembly. A great way to increase productivity and will pay for itself in no time.